There’s one in Harlem and one on East 14th Street, and soon there will be one in the West Village, too, at 80 Carmine Street. The International House of Pancakes has hit the Big Apple, folks, and it looks like it’s here to stay.Last week, Trihop LLC—the tri-state area owner of the pancake house franchise—signed a 49-year lease for the restaurant’s latest location, partner Kevin Salmon of the brokerage firm Salmon and Marshall Real Estate Investments to The Real Deal. The restaurant will be Budakkan big, covering 10,500 square feet: a 3,500 square-foot ground level area, a 1,000 square-foot covered outdoor space, and a 6,000 square-foot lower level. It’s located—surprise—in a new 10-story condo building. Ashkenazy Acquisition, an affiliate of Trihop that signed the building’s lease, had been eyeing the site for the last 18 months, Salmon said, and had at one point considered buying the commercial condo. Rent for the unusual shaped building, which has three different entrances on three different streets, will be $300,000 a year. 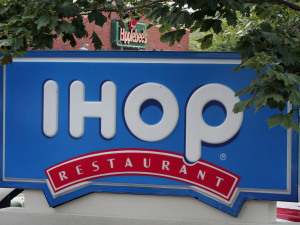 The firm has yet to confirm an opening date for the West Village location, and although it is only the third IHOP location in Manhattan, rumor has it that Ashkenazy has plans to open as many as 25 IHOPs in the tri-state area. Is that better or worse than the 100-plus 7-Elevens planned for the island? And while most diehard Villagers will hate this place with a passion bordering on Carrie’s abhorrence of hair scrunchies, at least some locals might get excited. Next door is a Kumon Learning Center and you can bet your bottom dollar that a slew of backpack-laden kids will be clamoring for a hard-earned milkshake or plate of funny face pancakes after a grueling tutoring session.